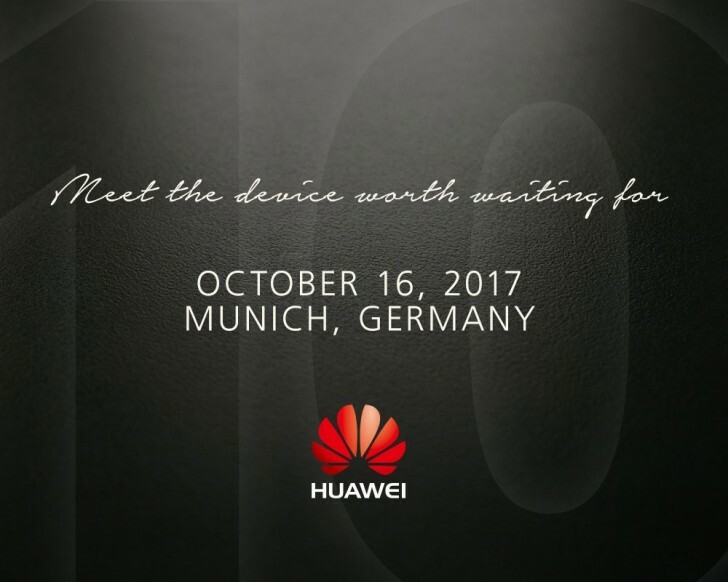 Invitations showing that Huawei will present its new flagship phone Huawei Mate 10 on the 16th of October in Munich circulate online. The tag line of the invitation reads “Meet the device worth waiting for”, which subtly almost communicates Huawei’s wish that we shouldn’t purchase a new phone from a competitor prior to the launch of Mate 10. Huawei’s main competitors like Samsung, Sony, and Apple all plan to release new flagship phones before the 16th of October: Samsung Galaxy Note 8, iPhone 8 and Sony Xperia XZ1. Hence, Huawei worries that it risks arriving too late to the party. Huawei Mate 10 features dual rear cameras with optics from Leica. The fingerprint sensor is located at the back of the phone. Huawei executes claim that the new phone will be more powerful than the upcoming iPhone 8. The Chinese company has therefore invested a lot in improving the performance of the in-house Kirin 970 processor in order to successfully compete with Apple. The processor now utilises a 10 nm architecture, which enables faster operations. A more powerful processor requires more memory and Mate 10 sports at least 6 GB of RAM memory. There will likely also be an 8 GB memory option. Furthermore, there’s 64 GB of storage. The edge-free screen measures 6.1-inches and supports QHD resolution. Hence, Mate 10 is even larger than Samsung Galaxy S8. and the 5.9-inch predecessor Mate 9. What about the software? We expect Mate 10 to run Android O given the rather late release date and that fact that competing phones launching shortly like the Sony Xperia XZ1 will employ Android’s latest OS version.